Beauty is a pastime most women share, but sometimes it can be fatally dangerous if we are not safe. We are sad to report that Atasha Graham, a 34-year-old Jamaican-born housewife who lived in England, died after suffering a major allergic reaction triggered by glue from her hair extensions. After a night out on the town with her boyfriend, Graham collapsed, stopped breathing and could not regain consciousness. She was taken to a hospital and pronounced dead. Doctors surmised the hair glue or latex weave was the cause of her death after an autopsy revealed nothing was wrong with her organs and no toxins were present in her bloodstream. This is HORRIBLE! No this isn’t a scare tactic because I, myself, use weaves as a protective style from time to time. I haven’t done it in a very long time but i do do it. Please make sure you know what your using ladies! I was allergic to my very first straight sew-in. I do not remember the name of the hair but it was human hair. My neck, scalp, face and forehead broke out. After six days, i had to take the weave out because it was unbearably irritating. “@StrawberriCurls: WOW! 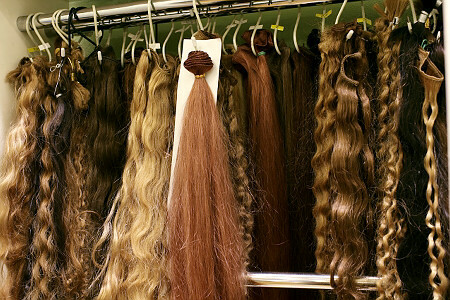 NEWS: WOMAN DIES AFTER ALLERGIC REACTION TO HAIR EXTENSIONS AND HAIR GLUE http://t.co/7B8FWUL4” > DOUBLE WOW! A lot of these hair glues contain something called Pyridinium Chlorochromate (PCC). I had to use that for several reactions in chemistry and I just learned about it while preparing for med school. Many people are highly allergic to it when exposed to highly concentrated amounts. The concentration of PCC in different products is not regulated by the FDA, so be careful ladies! If you are not sure if you are allergic or not, you should visit an allergist and request a patch test.